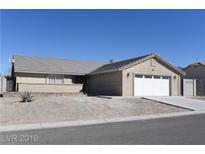 Below you can view all the homes for sale in the Mayfield Ranch Estates subdivision located in Pahrump Nevada. Listings in Mayfield Ranch Estates are updated daily from data we receive from the Las Vegas multiple listing service. To learn more about any of these homes or to receive custom notifications when a new property is listed for sale in Mayfield Ranch Estates, give us a call at 702-323-5946. 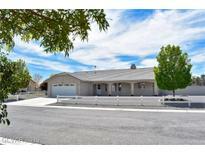 Located in a quiet neighborhood close to Hwy 160. MLS#2090048. Realty Executives In Action. Pahrump is a valley about 45 minutes from Vegas, has wineries, track club, golf, & hiking! MLS#2084994. Realty Executives In Action. RV parking and a large yard you have to see this one to believe it! MLS#2083717. Rustic Properties. Quiet area, just needs your landscaping ideas. Subject to probate court approval. MLS#2074779. Lisa Bond Real Estate LLC. Master bedroom is separate from the other rooms. MLS#2063744. EXIT Realty Number One.